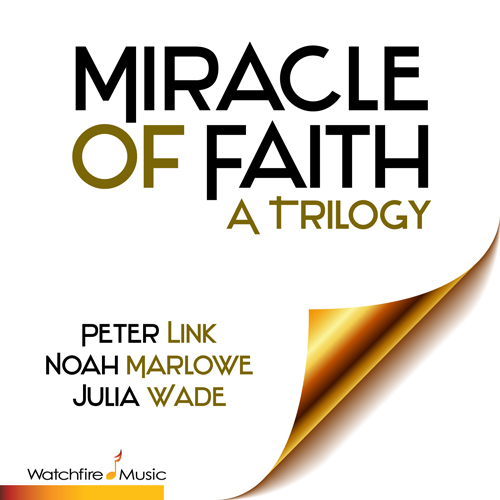 Miracle Of Faith – A Trilogy, is an Inspirational Suite for orchestra and voices, produced and composed by Peter Link with lyrics by Dora Redman and Link. It contains 3 songs and 4 instrumentals and is a gapless (music plays continuously) CD. Written as a Musical of the Imagination, it is an insight into the Bible story of Jesus and the five loaves and two fishes. It features 3 characters: A 12-year old boy, sung by Broadway star Noah Marlowe, Mary Magdalene, sung by Julia Wade, and Thomas, the disciple, sung by Link himself. And a hope filled Mother’s heart. Hoping she might be healed. Oh why is it so easy for this child to believe? And so difficult for me? Now why was it so easy for this child to believe?